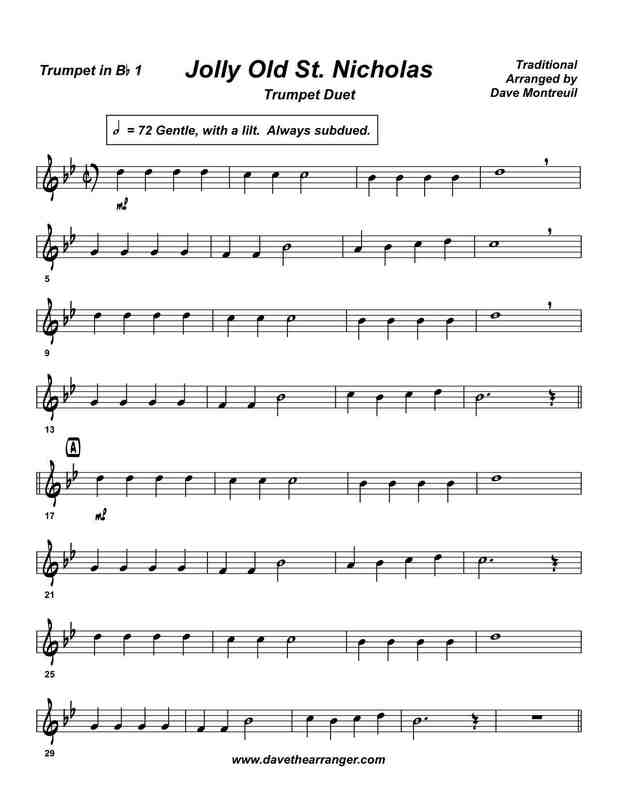 Here is a theme and variations version of Jolly Old St. Nicholas for 2 trumpets. Easy to play and easy to listen to. The mood is smooth, subdued and relaxed throughout, with a light swing section at the end. A perfect piece for beginning groups beginning groups and students. To me, this piece sounds both plaintive and wistful, and is a nice contrast to other 'friskier' Christmas numbers.